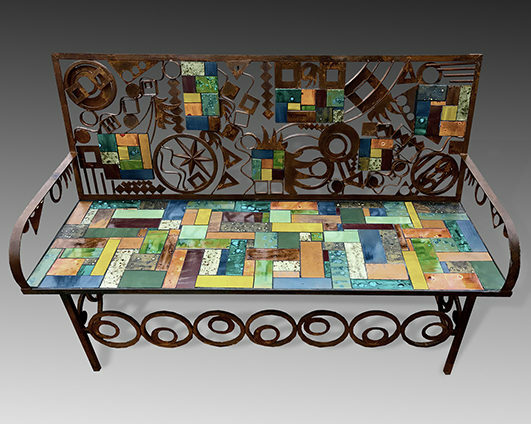 New and recycled steel is fabricated using welder, plasma cutter, & benders. Tiles we create from clay, & our 15 colors of glaze are kiln fired, cut and inlayed into steel. petina finish to complete.